Patio Doors with Style. How to connect the Indoors to the Outdoors. For several years now connecting the indoors to the outdoors has been a hot trend in building and remodeling. Accomplishing this task with style and verve is the “good old” sliding patio door, better known as ‘the slider’. Yes, the sliding patio door has been reinvented to give you wide span openings and expansive views connecting the indoors to the outdoors. You can replace your clunky old sliding patio door with hinged or sliding doors with style! Create gorgeous expansive openings and views with a wide selection of different styles and configurations. If your bracing for the coming five months of winter, gray skies and stuffy rooms, consider making a few changes to your home to beat the winter blues. Winter’s hard and it is a season when you don’t get enough light or fresh air, so why make some changes to your home and brighten your spirits this winter? Have you ever heard the term daylighting? Daylighting refers to the practice of placing windows and reflective surfaces so that during the day natural light provides effective internal lighting. If you maximize the amount of light that enters your home, your visual comfort will increase and you’ll also reduce the use of electric lights, saving you money. So what can you do to apply the principles of daylighting in your existing home and do so before winter? It’s enjoyable to walk neighborhoods and look at beautiful homes and landscapes. Since windows are my business, my trained eye can’t help but notice potential trouble spots on some homes. Topping the list of trouble spots are window sills. They’re in various stages of disrepair from peeling paint to unpainted exposed wood to rotting to rotted trim boards. As a homeowner, you can avoid costly window repairs if you take a simple walk around your home. Older homes with original windows are likely to be made from wood. The woods used were typically hardwoods, giving them an enduring quality if maintained. Over time, wood windows were manufactured from softer woods that may not be as rot resistant as the hardwoods. 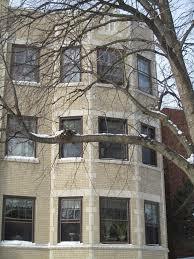 In either case, quality wood windows will last a long time if maintained.